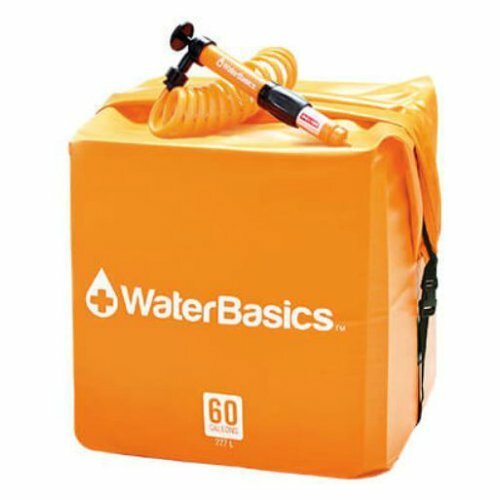 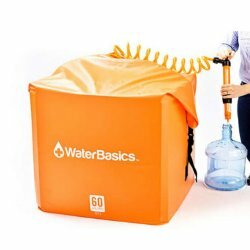 WaterBasics unique Double Containment, Collapsible Container assures a positive leak free seal, easy to access water, and the ability to "pack it away" when not in use. 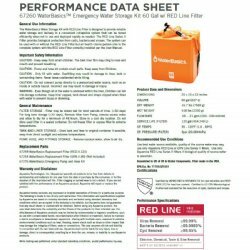 The Liner is constructed of double wall food grade LDPE that is BPA and phthalate free, it will not add taste or odor to the water and maintains a positive seal. 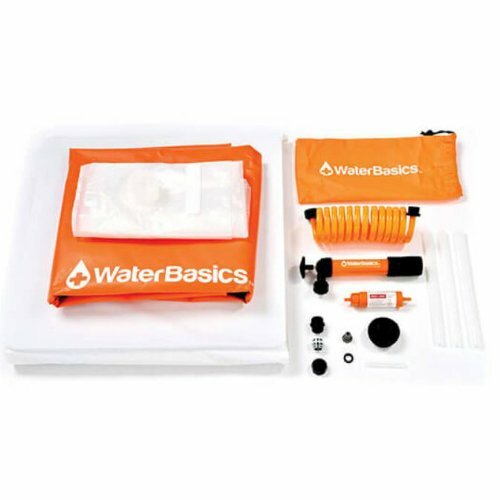 The outer shell is constructed of the same super tough materials as rubber rafts, and has welded seams to assure strength and provide a water tight second layer of containment. The patent pending spout fitting allows you to connect to the water using the retractable hose provided in the kit. 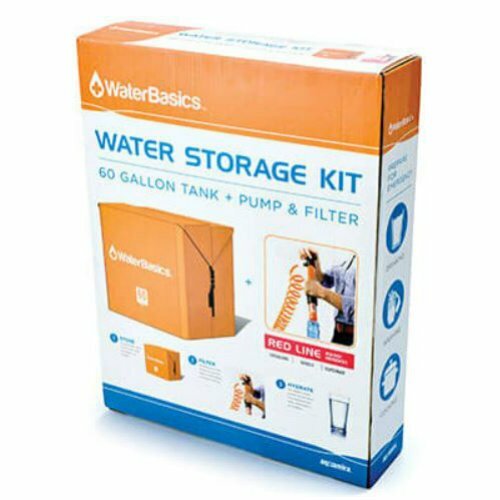 Everything fits snugly inside the shell for easy storage and access when needed. 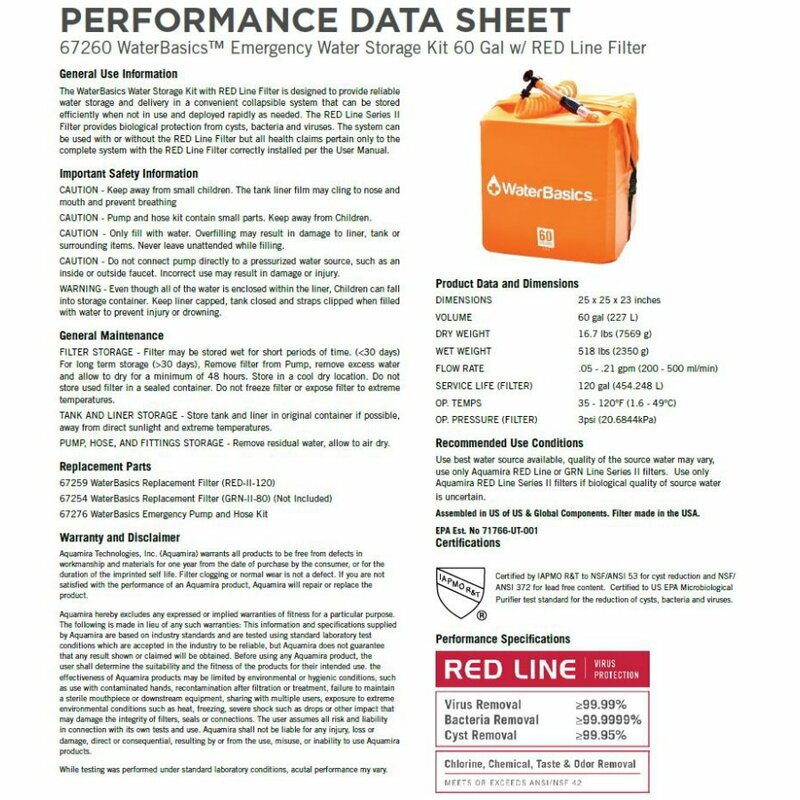 WaterBasics RED Line Filters with Mixed Media Filtration Technology are designed to take advantage of a unique combination of the most advanced filtration materials and media science available today. 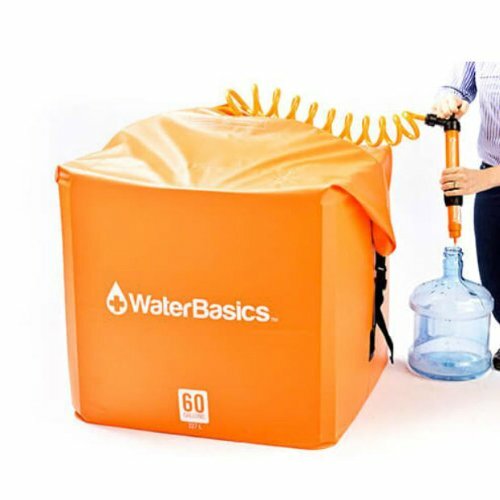 Using a patent pending filter design and manufacturing method, Aquamira engineers have created a multi-stage filtration system that incorporates the power of electropositive charge differential to "pull" particles as small as viruses out of the water stream while still maintaining high flow. This technology has been thoroughly tested and proven effective by independent laboratories to consistently remove protozoan cysts, bacteria, and virus to ANSI/NSF Standard 53, and US EPA standards without the need for cumbersome "back-flushing" requirements or disinfecting chemicals such as chlorine, bromine, or iodine. 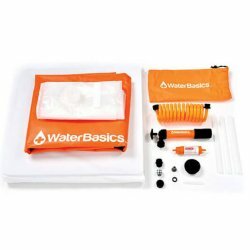 The WaterBasics RED Line filter provides the absorptive capability required to remove harmful chemical and environmental contaminants, bad tastes and odors, to ANSI/NSF Standard 42 requirements, and has been tested and proven effective in removing Cyanotoxins such as Microcystin and other biotoxins.